Chapel By The Sea 100 Chapel St. 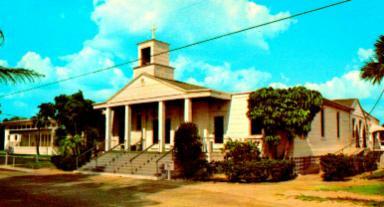 This is the original site of the first church built on the Estero Island in 1938. It served all denominations as a small community church and at that time faced Chapel Street, with the parsonage built in 1940, seen above on the left. 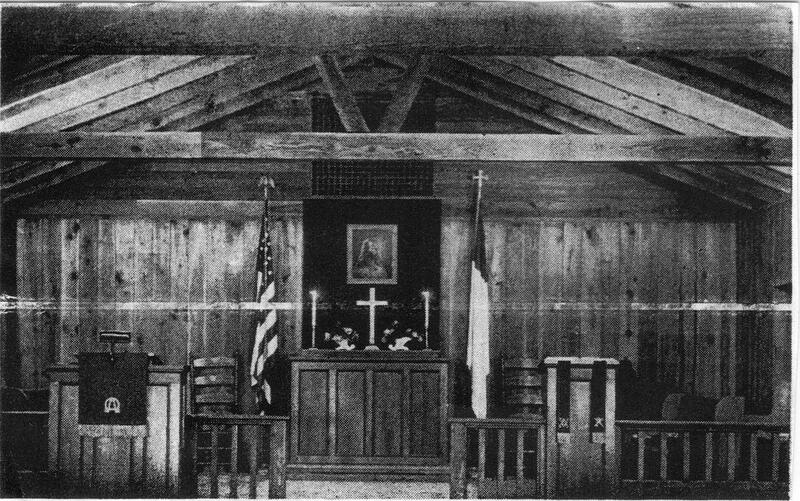 In 1950 an assembly hall, pastor's study and kitchen were added, then later the chancel was remodeled with choir stalls as seen above. During this time the chapel was no longer referred to as the Community Church, but as Presbyterian, while other churches were being built on the island. 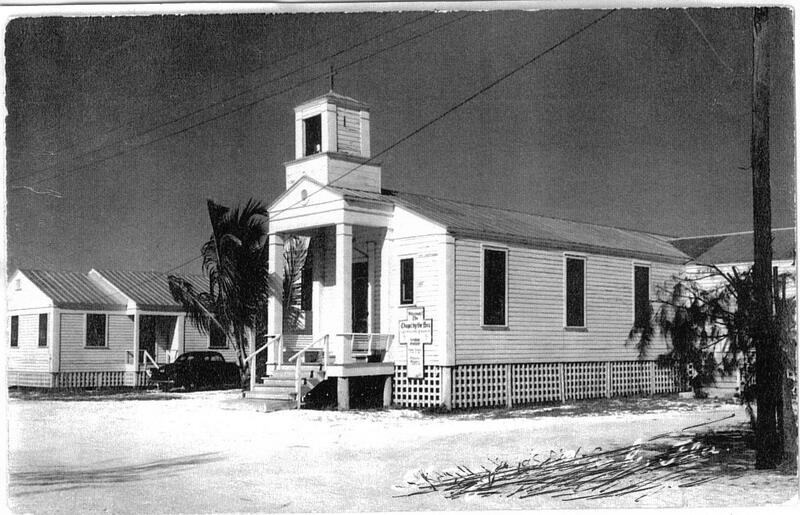 The Chapel's Fellowship Hall was completed, with choir and Sunday school rooms with the church entrance on Chapel Street, as seen below. The last service in the little church was held in 1984 and the new larger sanctuary opened with the entrance facing Estero Blvd. in 1985. The Chapel By The Sea still meets the needs of the growing beach community. The original Chapel building was relocated to Harlem Heights, where it, too, continues to serve its community. The EIHS is a 501(c)3 nonprofit organization.